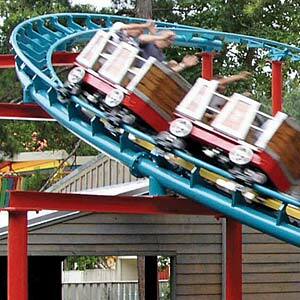 Chance Rides has a roller coaster design for every type of rider from mild to wild and all points in between. Each ride is customized to your site and properly designed for just the right amount of thrill. Our newest model the Unicoaster 2.0, offers the rider the chance to create their own experience in the rider-controlled seat that can spin forwards and backwards with the push or pull of a joystick.